It’s been a few years since we’ve last had this available so we’re excited to finally announce the release of our Straight American Whiskey! Due to all the requests to continue this product, we began producing and aging it again a few years ago. It is distilled to a higher proof than our bourbon, aged in a new, American oak barrel that was seasoned for 2 years prior to coopering, toasted and lightly charred, then re-barreled into a used bourbon barrel for another year before being bottled. It will be available when the tasting room opens at 11am on Saturday, October 3rd. Price is $54.95 out the door after all spirits taxes and fees. If you haven’t ever tasted it, stop in our tasting room for a sample. And for those of you who have been asking for it, we’re excited to finally be able to bring it to you! Lastly, King 5 is running their “Best of” contest again this year and it would mean a lot to us if you could cast your vote. It doesn’t take long to do. We just opened our bottle of Straight American Whiskey. That has got to be the best and smoothest whiskey I’ve ever had. Please make this a regular offering from WW if possible. Glad you are enjoying it! We will have it year round in the tasting room for sale, and it will be released to stores a couple times per year. I typically am a Single Malt Scotch drinker, but recently tried this. Wow, I’m truly enjoying this. I just went to the local grocery and purchased the last 2 bottles they had. So glad you are enjoying it! 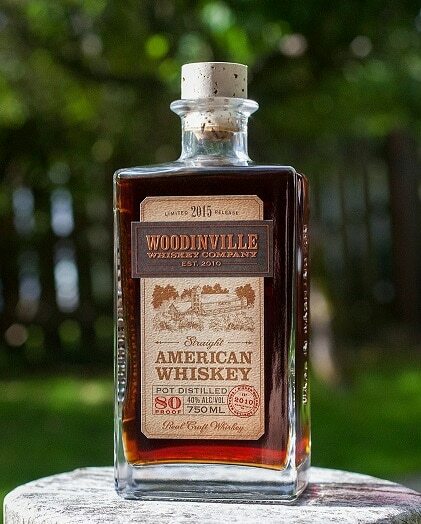 We have it here at the distillery tasting room year round now as well if you can’t find it at the store. I am a rye fan of yours but took a chance when this was on sale. Man am I glan I did. This is a great sippin whiskey. I am hooked. Great to hear you’re enjoying it Scott! I bought a bottle of this from batch #1 way back in 2011. I loved it then and I love it now – I’m so glad to see it return! So stinking good – my favorite of your offerings! Great to hear you are enjoying it so much! It will be a regular offering going forward. Wasn’t a whiskey drinker prior to discovering this 3weeks ago. I am 38years old and have never liked whiskey. I had some of this and it’s amazing!!! I am buying more tomorrow or in about 15mins!! !